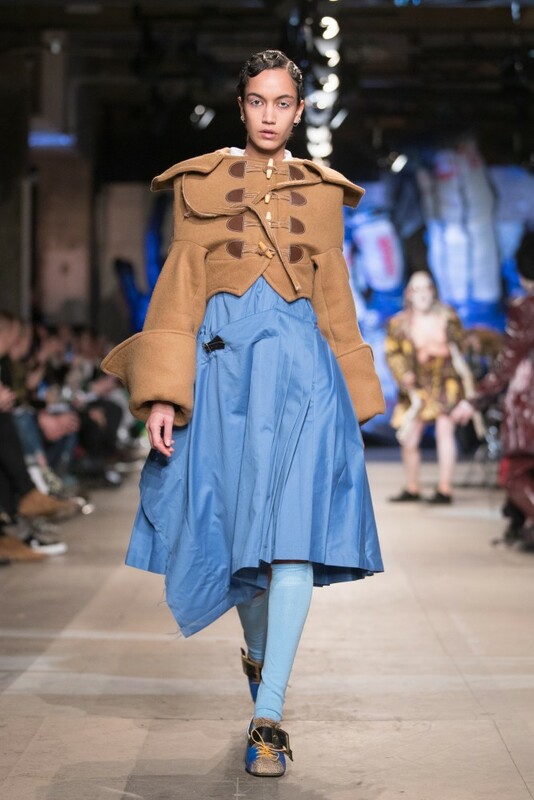 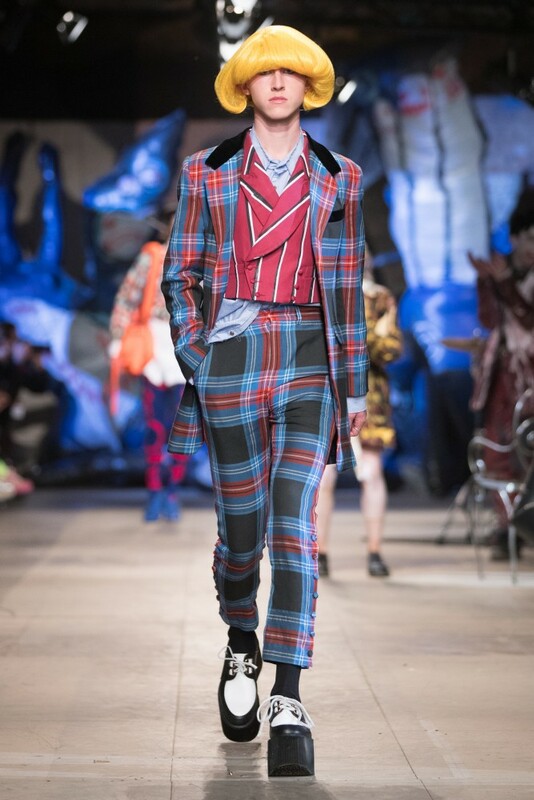 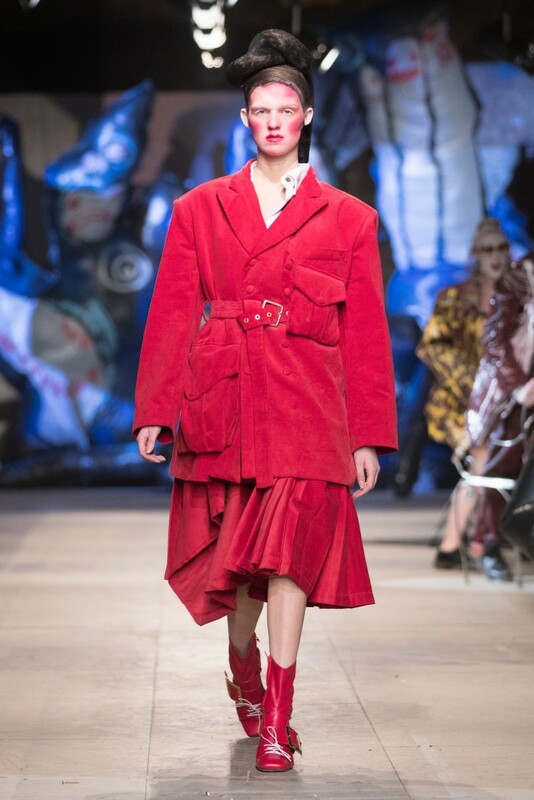 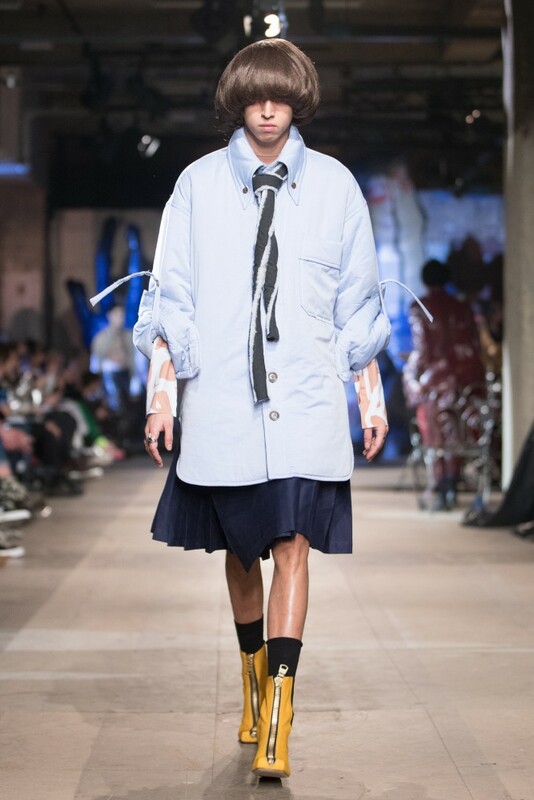 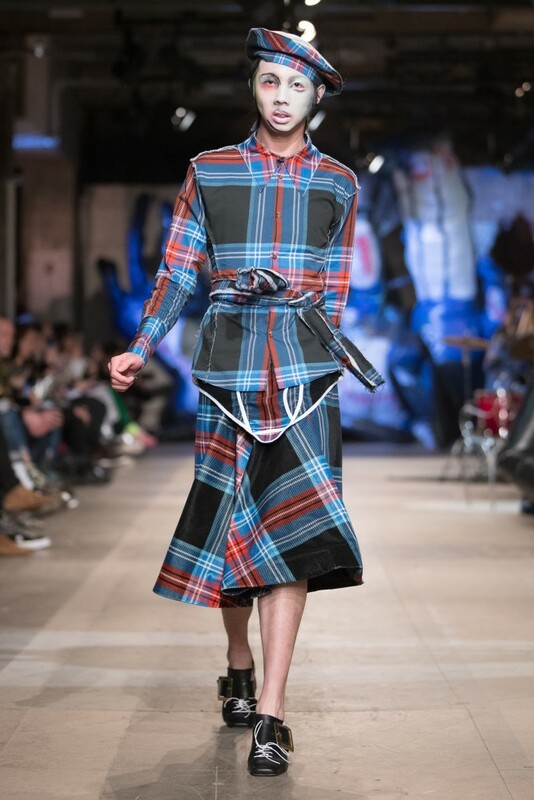 The 27-year old Scottish designer, Charles Jeffrey, has had an incredible past month; he won the British Emerging Talent (Menswear) award at the British Fashion Awards 2017, had his first solo Exhibition at the NOW Gallery and presented his astonishing much-anticipated Tantrum! 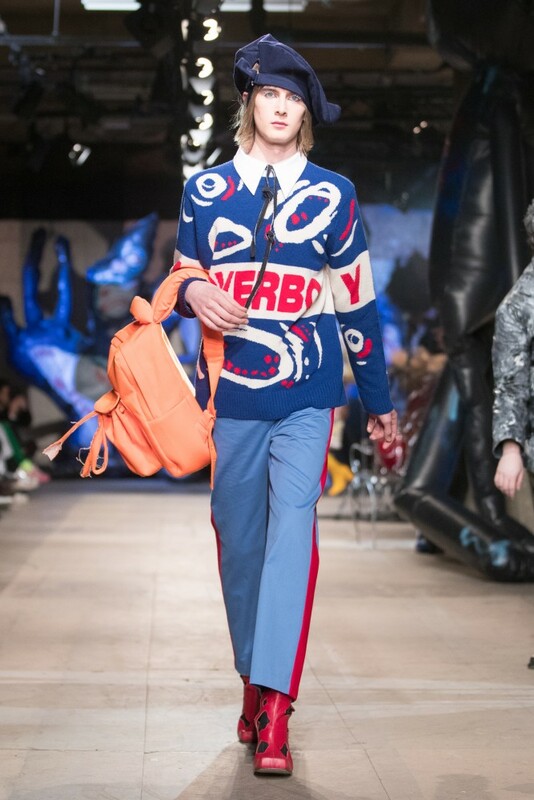 LOVERBOY Autumn Winter 2018 collection closing the second day of the London Fashion Week Men. 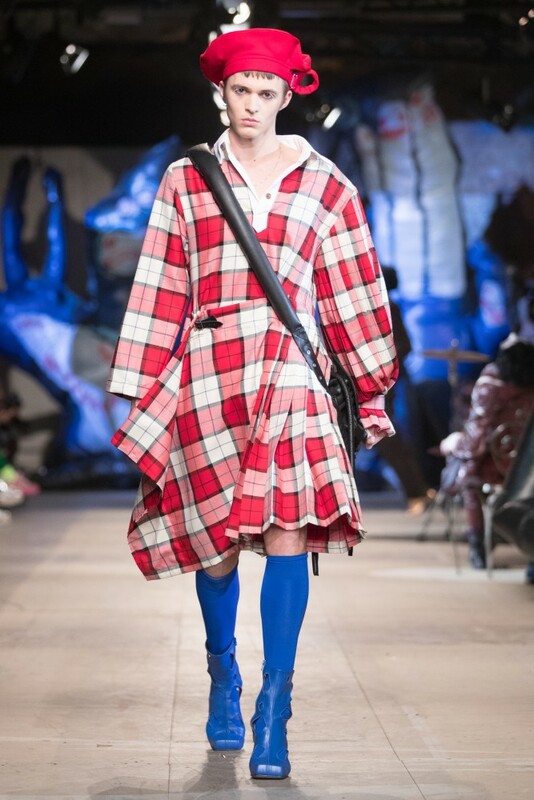 In light of the above, Jeffrey’s meteoric rise to the top of British Fashion is hardly surprising. 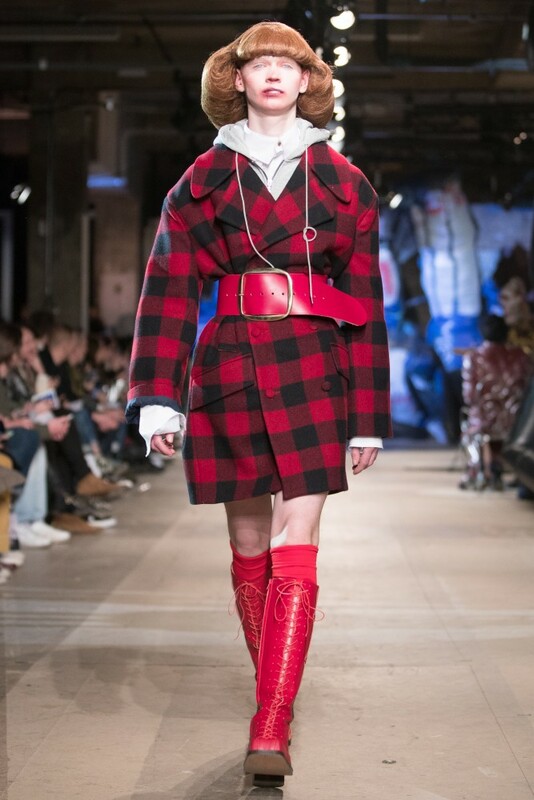 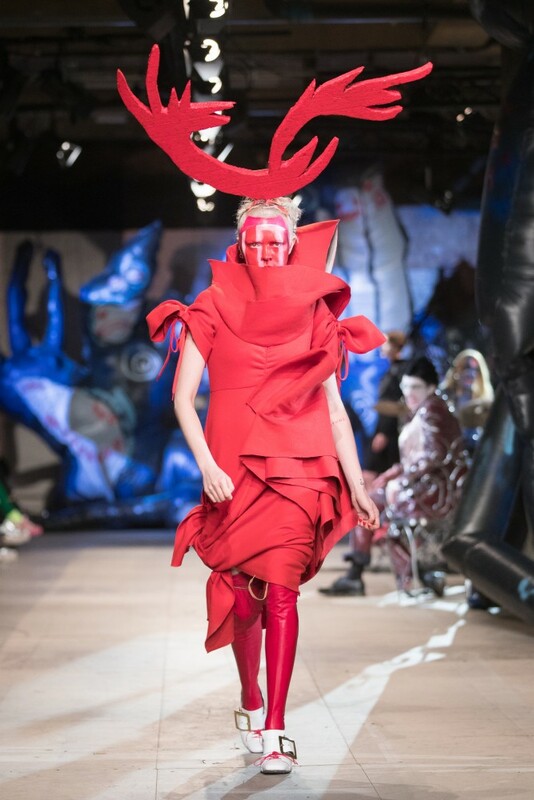 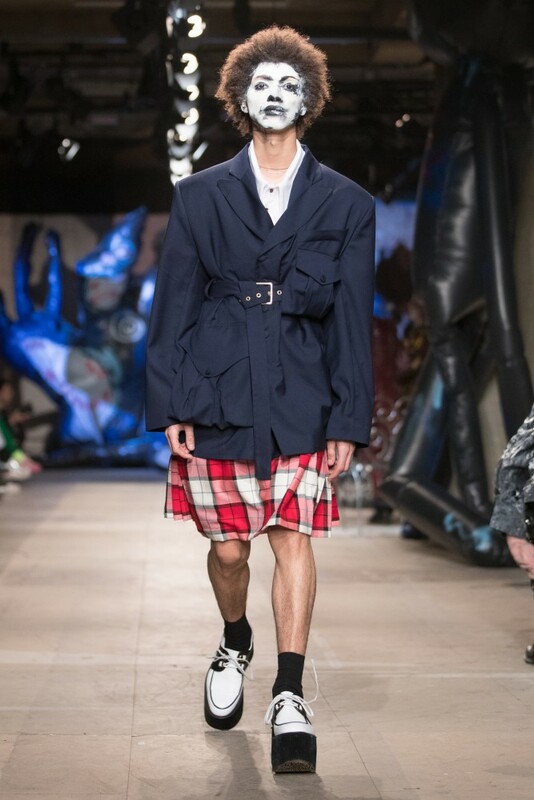 The theme of the AW18 collection evolved around Jeffrey’s own experiences growing up in Scotland as a gay man and the associated bottled-up emotions that erupted in a burst of anger and raging energy, which transcended into a full-blown theatrical performance laying the foundation for the show. 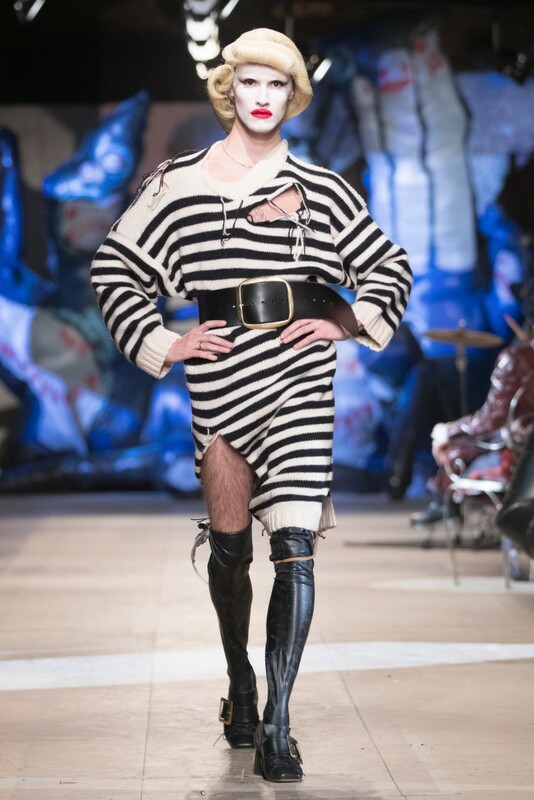 The performance consisted of Jeffrey’s tight-knit circle of friends, featuring the likes of Bradley Sharpe, Dilara Findikoglu and Scotty Sussman (Sussi), interpreting the pain and raw emotions through Michael Jackson’s Thriller-like improvisation; screams, painful convulsions and sudden bursts of rage and anger all depicted the uncomfortable past Jeffrey had face-to-face with. 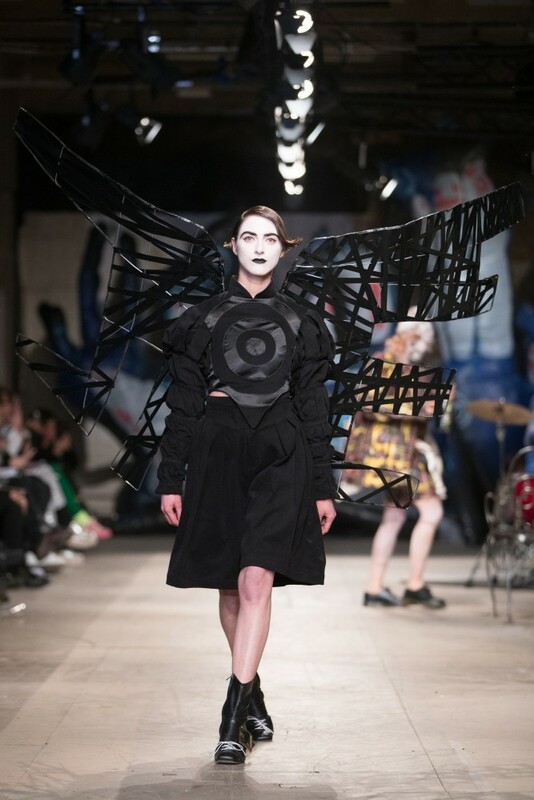 The strength of this collection is around its cohesiveness, whilst maintaining individuality. 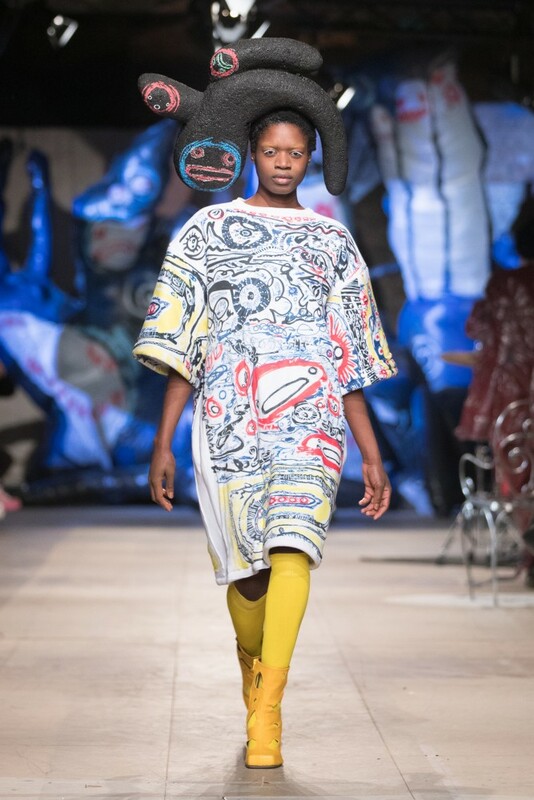 Each look can be viewed both as a single piece of beautiful art and as a cohesive well-structured whole. 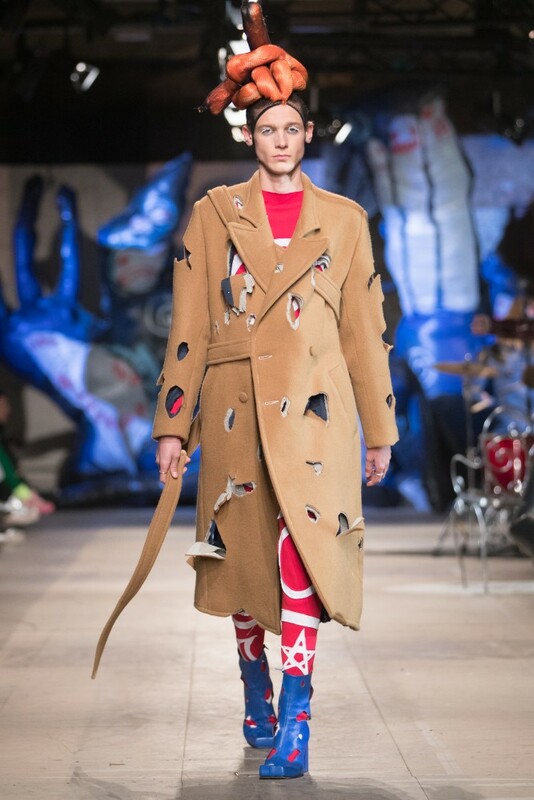 The collection could be viewed as an art show taking its viewers into the realms of its creator’s mind. 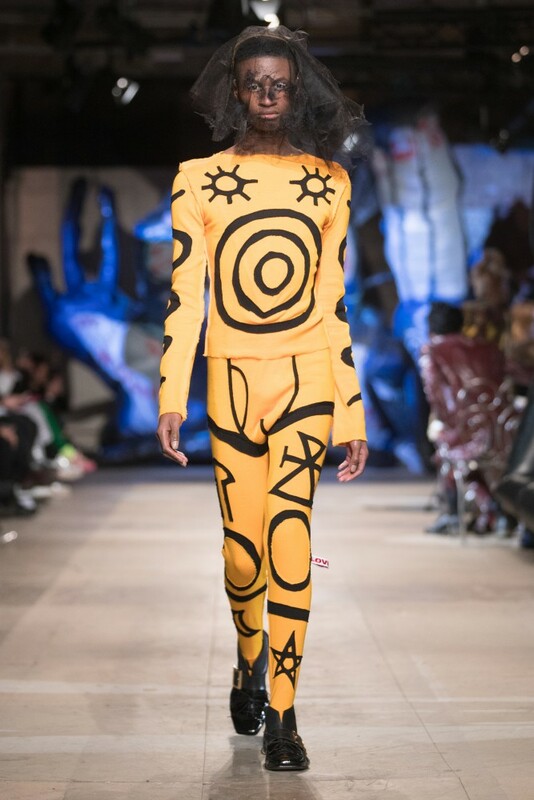 Jeffrey’s creativity and vivid interpretations paired with exquisite tailoring have paved him to become one of the best contemporary British designers, period. 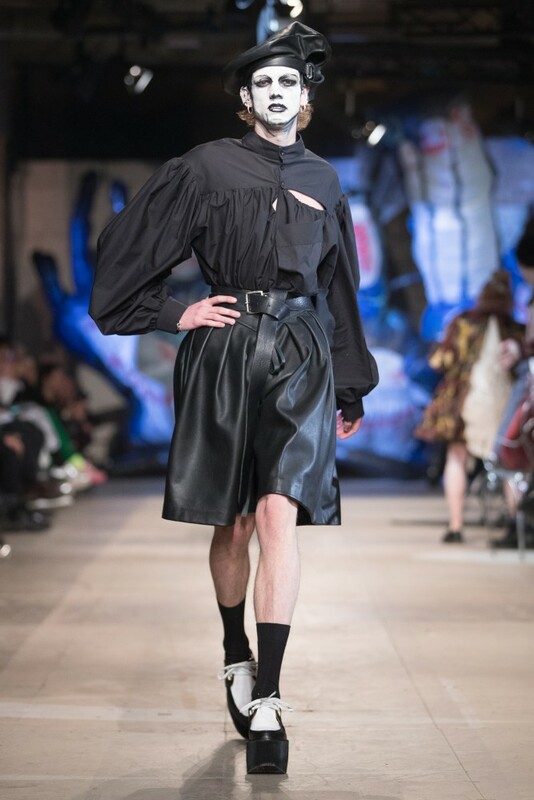 It is interesting to note, that we are, perhaps, witnessing the birth of a new era of British fashion, in which flamboyance, androgynous designs and peacockery are all coming to the fore and are increasingly playing their part in pushing the boundaries further as well as reconstructing the pre-existing perceptions of sexuality. 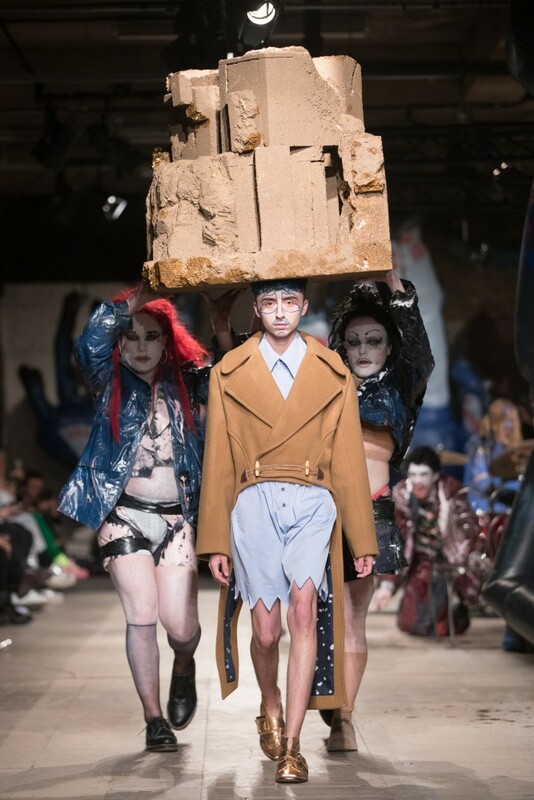 Charles Jeffrey is certainly destined to leave his mark on fashion history.